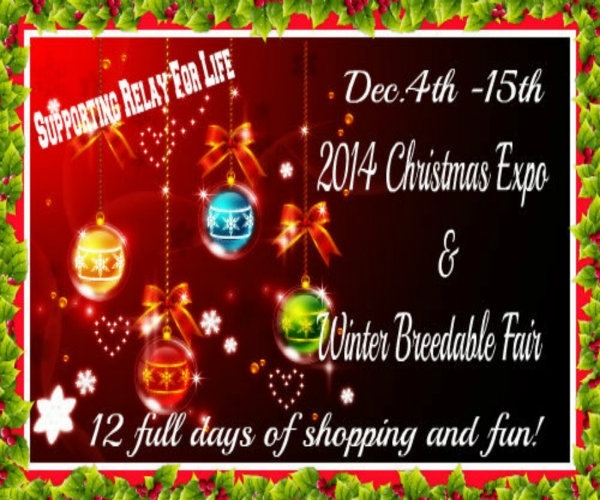 The 2014 Second Life Christmas Expo and Winter Breedables Fair will take place from Thursday December 4th through until Monday December 15th inclusive in support of Relay for Life of SL. 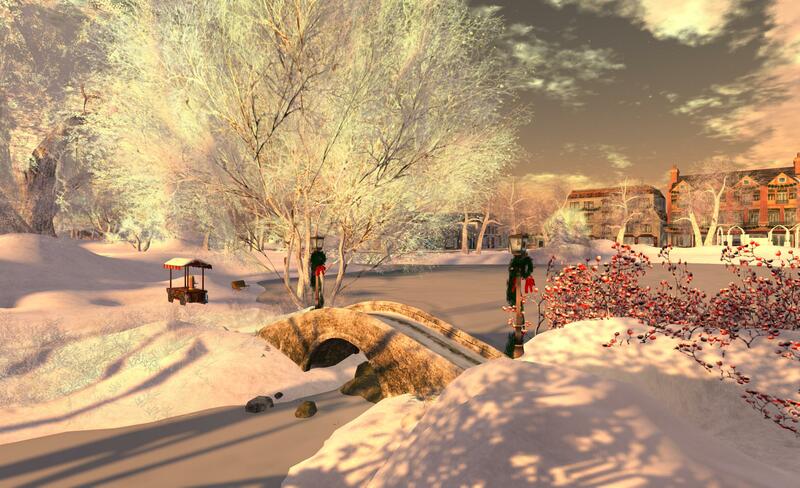 Registrations are now being accepted from content creators wishing to participate in the Expo and Winter Fair, and those wishing to do so are asked to complete either the Christmas Expo registration page, or the Winter Breedables Fair registration page, depending on their specific interest in participating. 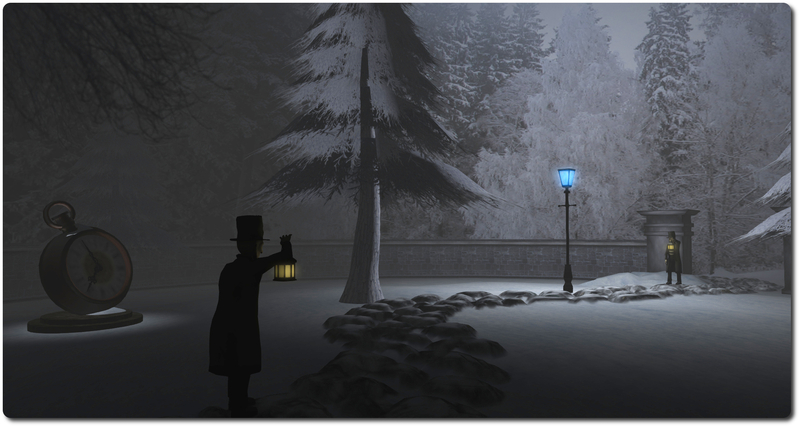 The event will include both seasonal and non-seasonal items from some of the best creators and designers in Second Life available across eight suitably themed regions in Second Life. Throughout the event, there will be a wide range of activities and entertainments, including a special one of a kind breedables auction, live performances, DJ sets, the Holiday of Hope Ball, Hunt For the Bells, Naughty Or Nice, a Christmas Tree Lot, Ornament Auctions, and of course photos with Santa! 100% of all registration fees, sponsorship fees, kiosk donations, hunt, raffle, auction, and vendor donation items will go directly to Relay For Life of SL and The American Cancer Society. In addition, there are still a number of sponsorship opportunities available. If you would be interested in supporting the event as a sponsor, please see the Sponsorship page for details of available options and registration forms. The Expo and Winter Breedables Fair organisers are also looking for enthusiastic volunteers to help run the event. If you’re interested in helping-out, please hop over to the volunteers page. When you enter the Citadel, Who might you find? A recent addition to the Photogenic section of the Destination Guide is The Citadel, billed as, “a time-plateau with a futuristic city overlooking a large desert. Filled with freebies, items to buy and places to explore, the Citadel is great for photos and role-play!” – and I have to say that this description undersells things somewhat. Yes, there is a city overlooking a desert, and there are opportunities for role-play and photography – but there is also a lot more, much of it with a particular theme, hinted at in the words time plateau. The landing point is inside a barn, around which the wind howls. Straw covers the floor and the slatted wooden walls don’t really do much to keep the wind-blown dust out. On the floor is the first clue as to the major theme of this region (assuming you haven’t already looked at the region description in the viewer’s top bar!) – although Whovians will likely recognise the barn as the scene of the meeting between three of the Doctor’s incarnations – that of the tenth (David Tennant) and eleventh (Matt Smith) with the “War Doctor” (John Hurt). 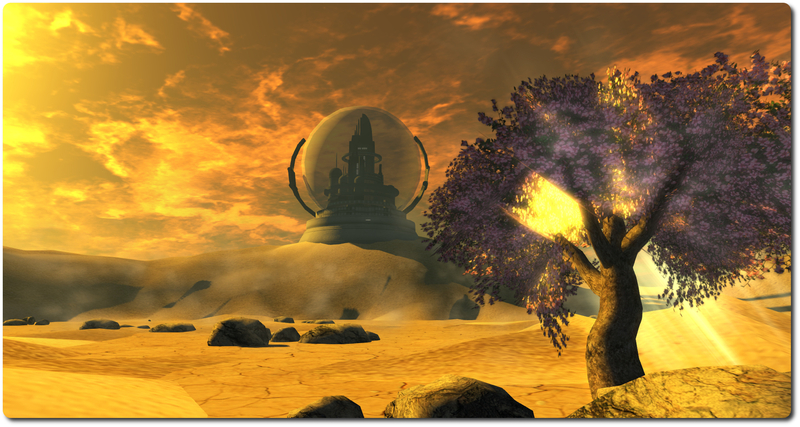 Step outside, and you are in a desert landscape, where the wind scoops sand into the air and billows it across the barren landscape, almost entirely denuded of trees and vegetation. Up on a high dune and above the worst of the winds, sits the Citadel of the Destination Guide entry’s title, englobed within a protective sphere, a composite tribute to the variety of designs denoting the Time Lords Citadel, as Laredo Lowtide, who operates the region with Kat Kassner, told me. 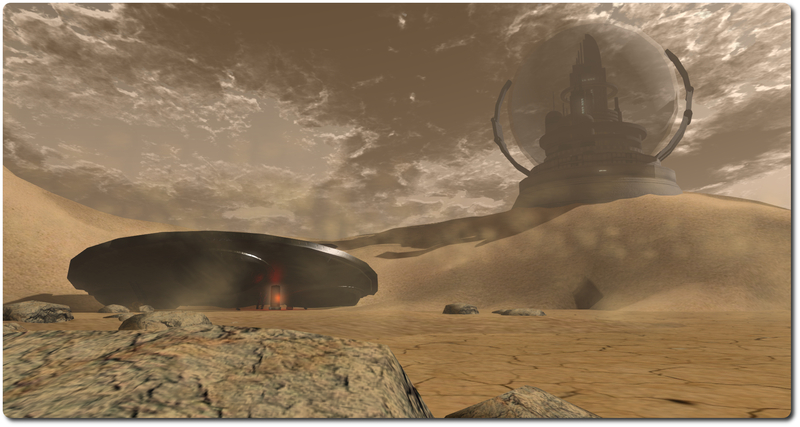 The city entrance can be found at the base of the dune leading up to it, as can the crashed wreck of a Dalek space ship. Teleporters hold the key to finding all the secrets with the region – and there are a number of them (teleports and secrets) to be discovered, including the interior of a Dalek ship travelling in deep space, and frozen garden (which again might carry echoes for Doctor Who fans), a lounge with a distinctly TARDIS-like design, and the route down to the ground. Central to the build is the Guy Fawkes Inn, a nod to the York birthplace of the infamous Gunpowder plot conspirator, and carrying a certain amount of dry humour: the headlines reporting on the Apollo 11 Moon landing take something of a dig at the modern love of a certain expletive, the bar menu reads as a list of possible fates for the unwary, and a chalk board outside the corner entrance carries a little nod towards the Hitch-Hiker’s Guide to the Galaxy. The presence of the Guy Fawkes Inn isn’t accidental. Just down the street, and close to another point of arrival, is the Guy Fawkes Exhibition. Here you can travel back in time to the year 1605, and, in the words of the old rhyme, remember, remember the fifth of November / Gunpowder, treason and plot. This interactive tour, featuring audio elements, text, props and images, will guide you through the events both leading up and subsequent to, that fateful day. It’s a well-crafted exhibition, with the ground floor leading you through the hatching of the plot, revealing the conspirators and their aims. Upstairs, the aftermath of the plot is examined, with further historical context. You can even meet Guido (Guy) Fawkes himself, and read a portion of his confession. “We used to run regions as more social spots but we don’t have the time these days, so we look to make spots people can be snap happy and wander,” Laredo said in explaining the reason behind the design. I’d say they’ve succeeded very nicely. 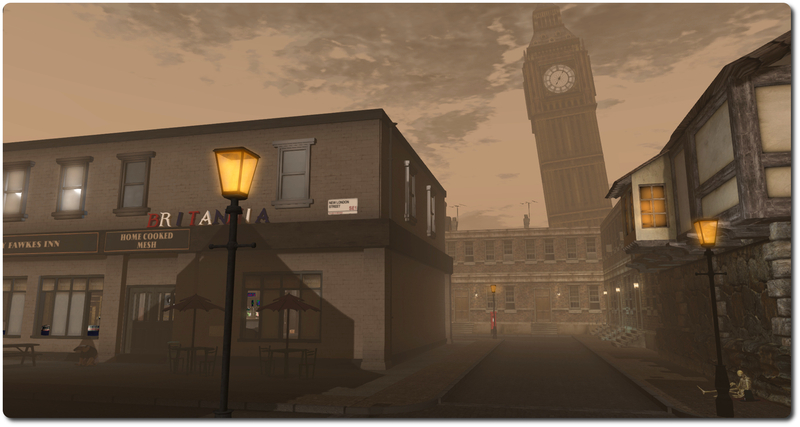 Whether you are seeking a photographic location, the potential for a little Who-related role-play (rezzing is allowed, but please do pick-up afterwards), want to learn a little more about a part of English history, or simply want to enjoy yourself exploring somewhere new and engaging, Black Hole offers you the perfect destination. Laredo tells me the current layout will remain pretty much as-is until at least the New Years, and that there may well be some seasonal updates towards the end of the year, making it a place worth popping back to as the festive season approaches!